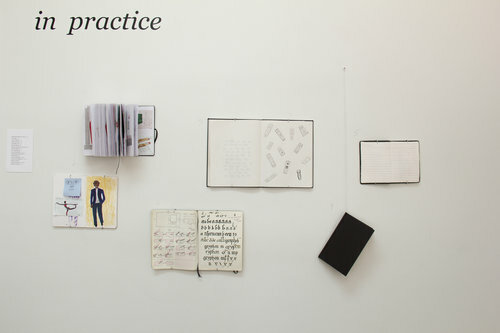 In Practice explores the planning, note-taking, list-making, and introspection that lives within sketchbooks. The exhibition highlights a collection of personal sketchbooks from a variety of local artists working at every level and in every discipline. In Practice celebrates that common ground, and demonstrates the diversity of methods and ideas, which it encompasses in our community. We encourage our audience to flip through and handle the sketchbooks on display, exploring art as a process, not a perfect finished product. 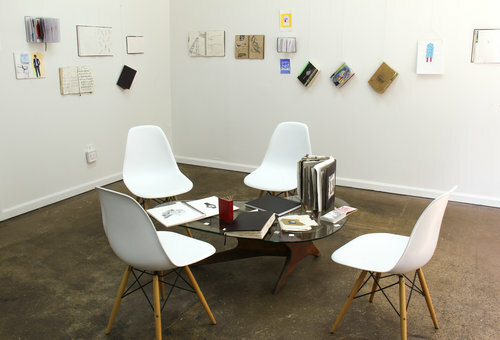 The exhibited sketchbooks reveal the inner workings of Sebastian Bruno-Harris, Jen Clay, Jess Condon, Jessica Foster, Cangshu Gran, Jill Lavetsky, Samuel Lopez De Victorio, Sammi McLean, R.J. Rodriguez, Lucas Ruminski, Sarah Michelle Rupert, Isabel Serna, Ingrid Schindall, Lisa Marie Stephens, Simone Todd, Amber Tutwiler and Richard Vergez.